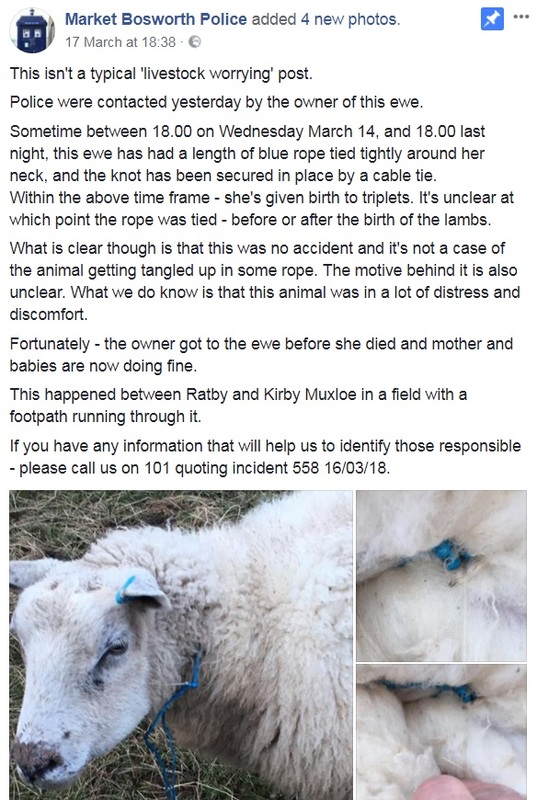 A police investigation has been launched after a pregnant ewe had blue rope tied tightly around its neck - but a motive for the incident is still unclear. The incident happened between Wednesday, March 14 and Thursday, March 16 on a farm in Market Bosworth, Leicestershire. 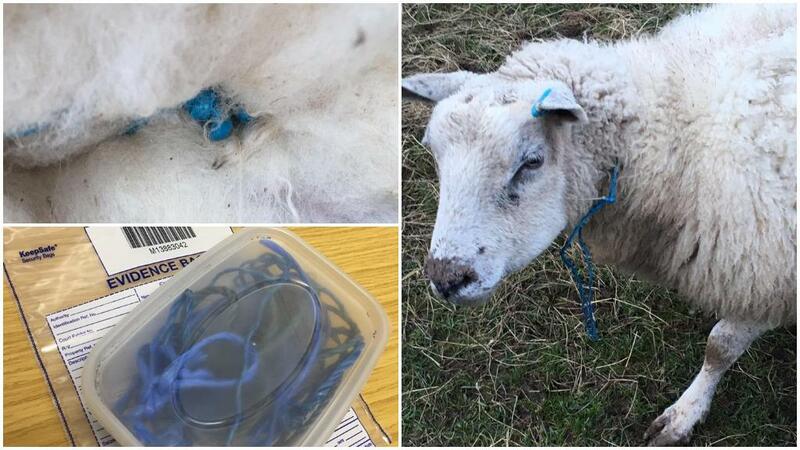 A police spokesman said: "This ewe has had a length of blue rope tied tightly around her neck, and the knot has been secured in place by a cable tie. "Within the time frame - she’s given birth to triplets. It’s unclear at which point the rope was tied - before or after the birth of the lambs. "What is clear, though, is that this was no accident and it’s not a case of the animal getting tangled up in some rope. The motive behind it is also unclear. "What we do know is that this animal was in a lot of distress and discomfort. "Fortunately - the owner got to the ewe before she died and mother and babies are now doing fine. "This happened between Ratby and Kirby Muxloe in a field with a footpath running through it. "If you have any information that will help us to identify those responsible - please call us on 101 quoting incident 558 16/03/18." A social media post by Market Bosworth Police has been shared over 1,000 times with many people shocked and angered by the incident. Jayne Stevenson posted: "There are some sick individuals about. Remember the horse slashings etc. Unfortunately flocks are unmanned most of the time so it.s impossible to monitor this kind of sick abuse." Matt Smith wrote: "There are well documented studies linking animal cruelty as a stepping stone to other even more serious crimes. It’s worrying to think that whoever has done this lives amongst us."